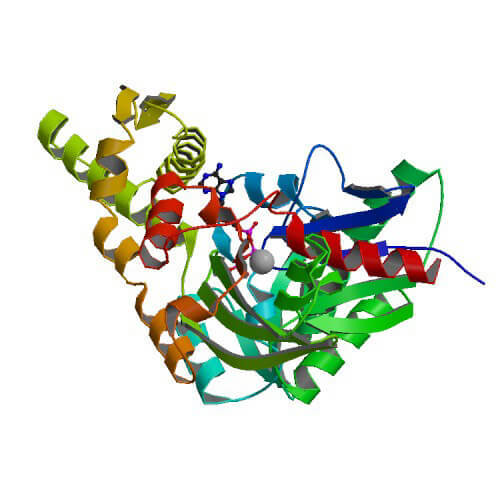 Grp78/BiP (HspA5, Hsp70-5) is a member of the 70 kDa heat shock protein (HSPA5) family of molecular chaperones, constitutively expressed in the ER and participating in the transit and folding of nascent polypeptides into the ER lumen. Interestingly, this chaperone has been found as being highly inducible in the ER under conditions leading to a defective protein glycosylation 55-58. In 2009, a novel cytosolic isoform of Grp78 with a molecular size of ~62 kDa, termed Grp78va, was identified in mouse and humans as the result of alternative splicing and alternative translation initiation 53. It has been suggested that Grp78va might trigger the survival of cancer cells in response to ER stress via regulating the cytosolic unfolding protein response (UPR) 59. According to the current state of science, the human genome encodes 14 members of the HSPA family with molecular masses of approximately 70 kDa (the most prominent are featured in Table 2). For more detailed information see also Radons (2016) 1 and Zuiderweg et al. (2017) 2 as well as HSP70 Resource Guide. HSP70 family members are encoded by a multigene family comprising 17 genes and 30 pseudogenes in humans 50. Functional genes coding for human HSP70s map to several chromosomes (Table 2) 51. 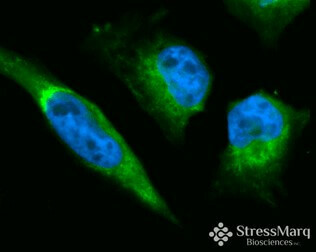 The major stress-inducible HSP70s include Hsp70-1 (HspA1A) and Hsp70-2 (HspA1B) that solely distinguish themselves by two amino acids. Hsp70-1t (HspA1L) and Hsp70.2 (HspA2) are cytosolic representatives of the HSP70 family highly abundant in testis. Both chaperones are constitutively expressed and are highly homologous to Hsp70-1. Hsp70.2 has been proposed as playing a critical role in meiosis and spermatogenesis 60. Hsp70-6 (HspA6, Hsp70B’) and Hsp70-7 (HspA7, Hsp70B) are stress-inducible HSP70 family members with high homology to Hsp70-1 61 or Hsp70-6 50, 62, respectively. Hsp70-8 (HspA8, Hsc70, Hsp73) represents the cognate, non-inducible housekeeping molecule of the HSP70 family, crucially involved in protein folding and transit across cellular membranes 63. 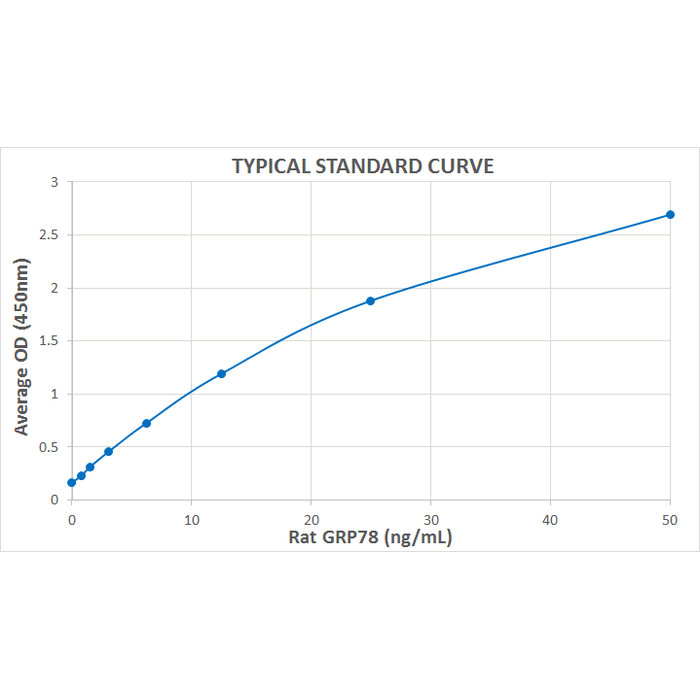 Hsp70-9, also known as mortalin, Grp75 and HspA9, is localized predominantly in the mitochondria bearing a 46 amino acid target peptide which allows for directing Hsp70-9 to the mitochondrial matrix 64. The expression of Hsp70-9/mortalin is inducible by nutritional stresses such as glucose deprivation 65. Hsp70-12A (HspA12A) and Hsp70-12B (HspA12B) represent more distant constituents of the HSP70 family of chaperones as they bear an atypical nucleotide binding domain 66. While Hsp70-12A is higly expressed in brain, kidney and muscle, Hsp70-12B has predominantly been found in muscle, heart and liver 66. The specific expression of Hsp70-12B in endothelial cells led to the suggestion that it may contribute to endothelium-associated development and angiogenesis 67. Hsp70-13 (HspA13, Stch) is constitutively expressed in all human cell types in association with microsomes 68. Hsp70-13 is also present in the ER and extracellular exosomes 69. 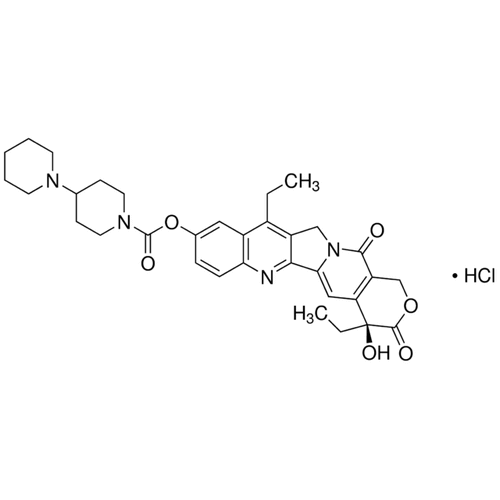 Hsp70-14 (HspA14, Hsp70L1) acts as a Th1 adjuvant through activation of dendritic cells 70 and forms the mammalian ribosome-associated complex in conjunction with the M-phase phosphoprotein 11 (MPP11) 71. The Hsp70-14 expression can be induced by enhancing the expression of the DNA repair protein nibrin (Nbs-1, p95), thus triggering nibrin-associated oncogenic activity 72. An up-regulation of HspA14 has recently been reported in tumor tissues of patients with HBV-related early-stage hepatocellular carcinoma 73 and the spotted sea bass Lateolabrax maculatus after Vibrio harveyi infection 74. In human tumor cell lines, suppression of the transcription regulator octamer-binding transcription factor 4 (Oct-4) induced an up-regulation of the HSPA14 mRNA expression 75. However, the meaning of the latter observation is still unclear.